Vi like dinosaurs. 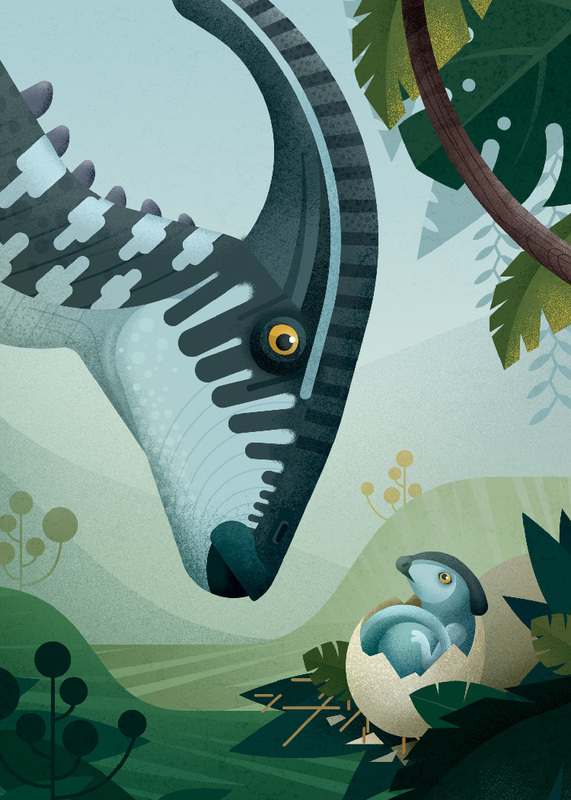 One of our favorites is the Parasaurolophus and we have fallen in love with this one, created by our friends at Nature Press. A dinosaur mother and her newly hatched baby: warm, intense and just utterly adorable. The Parasaurolophus belongs to a family known for its extraordinary head shapes. It is also a bit of a film star, appearing in both “Jurassic Park” and Disney’s “Dinosaur”. It is hard to believe that this amazing creature actually walked the earth some 70 million years ago, in what we today know as North America, and could reach a length of 10 meters. 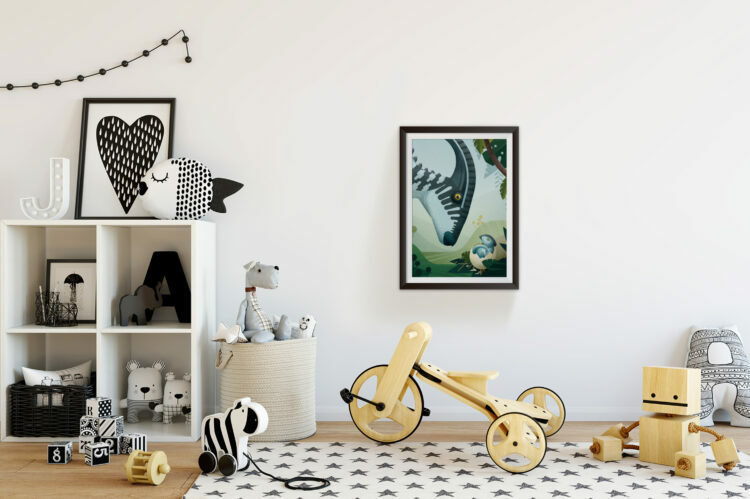 The dinosaur poster is beautiful to frame, or hang the print as it is when decorating the children’s room. Or keep it for yourself – who does not want a dinosaur poster?